Nordstrom is a luxury boutique both online as well as in store and is headquartered in Seattle, Washington. This corporation is known for putting the customer first and they have extended this brand equity into the online experiences for their customer. You may think how can you take a personal service trait and translate this into a social media environment. Nordstrom has identified their voice and insuring that it is present in all channels of communication with their consumer through different tactics. Several of these tactics include Email, Facebook, Pinterest, and Twitter. Facebook has been used to showcase products, increase customer engagement and has been successful. The brand has 2,812,615 likes, 97,544 talking about this, and 597,789 were here. The main platform for this tactic is to drive traffic to their ecommerce website. On average all posting are product related, with an attractive image and a link to purchase. Nordstrom has been on Twitter since June 18, 2008 and according to Twitaholic the brand is ranked 4,311th in the world in regards to followers. Today they are just shy of half-a-million followers totaling at 495,417. Twitter has had a positive effect on the brand. On average a day, Nordstrom has an increase of 385 followers, with 97 tweets. This sort of engagement has afforded the brand the opportunity to have immediate dialogue with customers in real-time. For example, Kevin Hillstrom, President of Mine ThatData, conducted a 5 week study on Nordstrom’s Twitter engagement. The study found that during this time there was 6,121 individuals who either mentioned Nordstrom, #Nordstrom, @Nordstrom, and or a retweet. 5% of those individuals would be considered a highly engaged audience because they will continue to engage the brand after the initial tweet. Nordstrom’s conversations range from discussion about fashion to events. There is also discussion about sales and product exclusives. Although Nordstrom’s Twitter feed ranks high among other retailers, Simply Measured reports that 30% of top brands have dedicated customer service twitter accounts. For example, ASOS and Microsoft are both dedicated to customer service and have an additional twitter account to deal with customer service issues. Nordstrom makes it a standard practice to advise any followers on Twitter to “direct message” their inquiry or concern to be addressed immediately. Thus far Nordstrom has successfully married the integration of fashion must haves and resolutions to problems but this option of having a dedicated handle to address issues will be a much better approach. The only reason I can see as to why they haven’t done so already is because to Nordstrom there is no difference between sales and customer service. 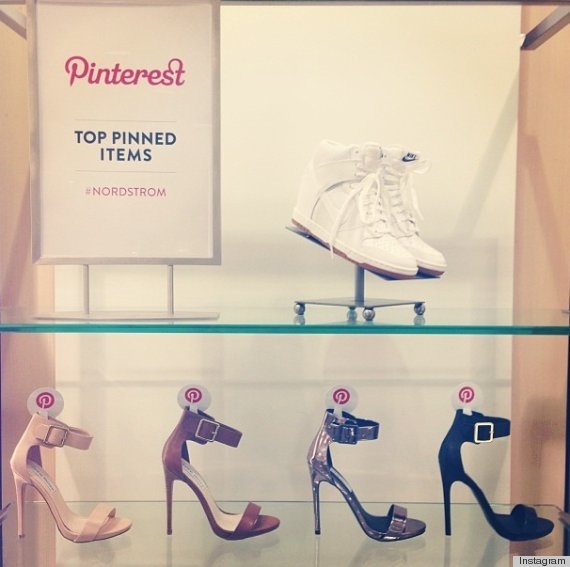 I really like how Nordstrom has been able to use a social media platform (Pinterest) and apply it directly to some of its stores by featuring the “most pinned item.” I like how the company connects this digital platform with a traditional one. I think this is something other companies could follow, especially those targeting the millenial target audience. One thing I found interesting was that 83 percent of 18-24-year-olds consult at least one social platform before purchasing in at least one fashion category. 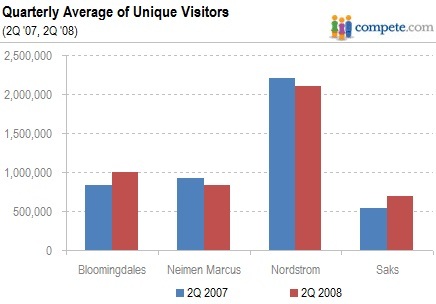 This makes more sense why Nordstrom would use a social networking site in-store.